Place all of the ingredients except for toppings in a bowl and stir until well combined. Let the mixture sit for 5 minutes, then stir with a fork. 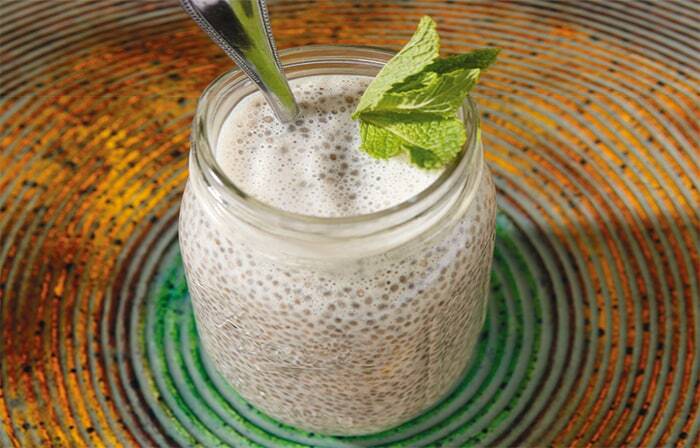 Repeat this process every 5 minutes for about 30 minutes, or until the chia seeds have soaked up all the liquid. Chill pudding for 2 hours before serving. Top with your favorite garnish and dig in.